Sölden’s winter ski area is directly connected to the glacier slopes by a number of ski lifts and gondolas called Golden Gate to the Glacier. 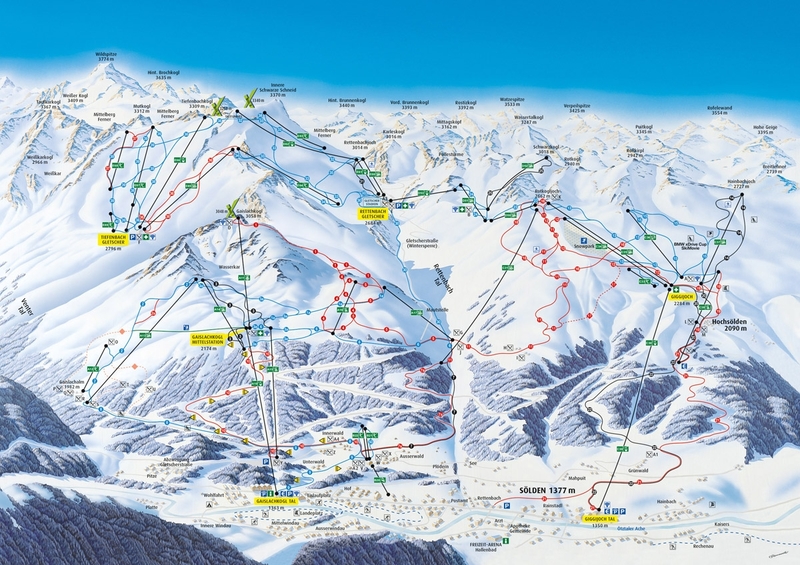 Skiing enthusiasts can ski uninterruptedly from the village of Sölden up to the glaciers at the elevation of 3,250 m. In general Sölden is known for its modern and efficient lift system with good markings and snow quality guaranteed. Nearly all runs are above tree level, so a bit exposed if the weather is bad, but trails are wide and great for cruising. In the afternoon and evening you will find lively after-skiing and Sölden is quite famous its ski-boot parties. Great start on the season 2018/19! ALready 1,6 m of snow 🙂 !! !